Arsenal have given themselves extra work to do after crashing at the Roazhon Park on Thursday night. 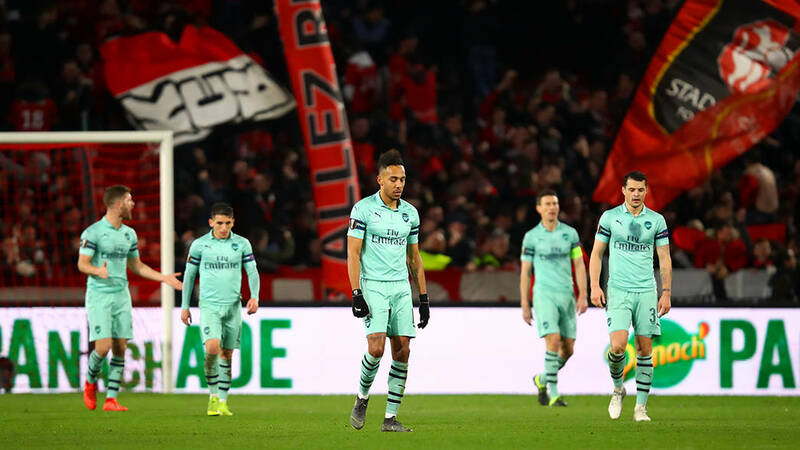 A 3-1 loss to Rennes in the first leg of the Europa League last 16 earned them their first defeat on French soil. Prior to the game and even in the opening half, no one would have easily predicted what eventually played out. More shocking was the fact that they slipped despite being the first to score. A Nacho Monreal own goal coupled with a late header from Sarr gave the underdogs a well-deserved victory ahead on the return leg next week. 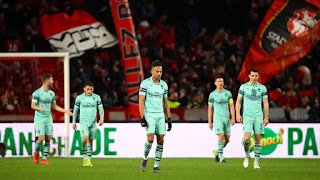 As for Arsenal, they will have to put in maximum efforts if they are to overturn the results and secure qualification to the quarter-finals. They faced a similar situation in the last stage where they were able to win 3-0 at home after fumbling in Belarus the previous week when they were beaten 1-0 by BATE Borisov. More pressure has begun to mount on Unai Emery at this point, FA Cup, Carabao Cup, Premier League all gone. Even a top-four finish is not certain. Now, the alternative means they can secure Champions League qualification with is about going off their grip. These are indeed trying times for the Spaniard and fans. Another tough test will come up this weekend in Manchester United's trip to the Emirates Stadium. The reverse fixture in December ended in a dramatic 2-2 draw. On another occasion which was the FA Cup fourth round two months ago, 3-1 was the outcome in favour of the Red Devils.